The proposal is part of the Heart of the City II scheme which aspires to create a dynamic and vibrant mixed-use district in Sheffield’s city centre. The latest development in the Heart of the City II project has seen the planning application for the renovation of the Pepper Pot put forward. 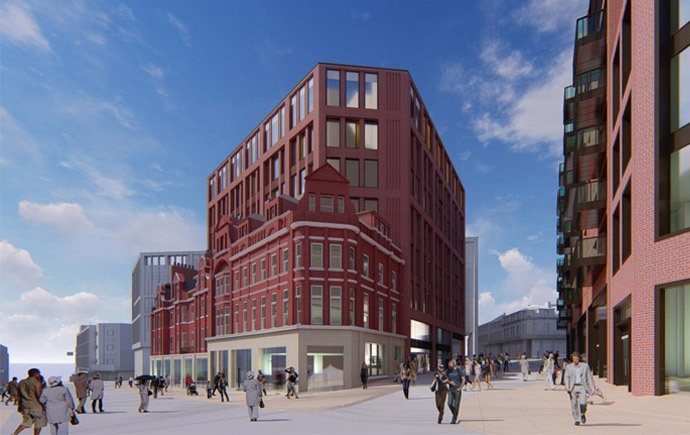 The proposal, which was introduced in September, intends on preserving the Victorian facade of the famous building while redeveloping and extending the building behind it. Fronting on to Pinstone Street, the refurbished structure will include five retail units on the ground floor and 37,000 sq ft of grade A office space on the seven floors above. Subject to planning, the construction intends to begin in spring 2019.